“Heaven Knights” is a genuine, high-quality Korean ARPG mobile game, allowing gamers to summon various types of army to conquer territories and develop exciting stories. Gamers can also team up with friends to begin an epic siege on the various bosses, challenging the ultimate fight at the highest temple. “Heaven Knights” is definitely a masterpiece to end off the year! 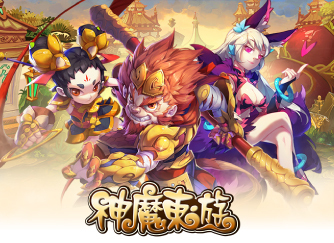 “East Fantasy” is a horizontal version ACT mobile game based on the Chinese mythology launched on September 17th, 2015!Social media curator “Da-da” successfully generated a strong following to create the marketing campaign. “Find Anything At East Fantasy” with hundreds of gods and demons to you back to mythical times, where you will create your own universe in the mist of this ancient world. “Junior Three Kingdoms” is iCan Entertainment’s first Japanese RPG game based on the Three Kingdoms, released for dual platform on June 4th, 2015! With special invitation to popular boy band SpeXial as the spokesperson to take on the young gamers in Taiwan, Hong Kong and Macau. “Junior Three Kingdoms” received great reviews and affirmation,recognized in September as The Most Recommended Game by Google Play Google Play Google Play editors and Best RPG game in 2015! 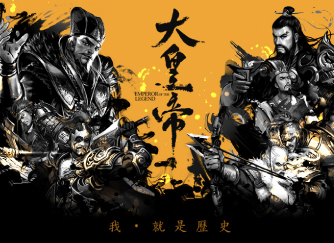 “Emperor of the Legend”is the first of its kind with astounding ink graphic “Three Kingdom” themed SLG game represented by iCan Entertainment released on March 26th, 2015! 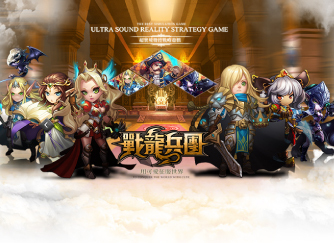 With special invitation to gifted musical writer Ian Chen as the spokesperson.All new looks, to tackle the other SLG competitions in the market, allowing “Emperor of the Legend”to be recognized as the second place recipient of the 2015 Game Star:Web Game Award as well as the Yahoo Game’s Most Popular Web Game Award. 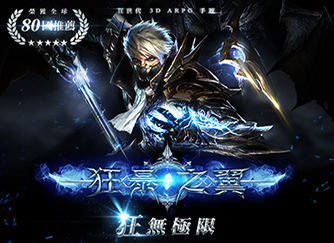 iCan Entertainment represents the renowned web game “League of Angels”, released on Dec. 26th, 2013! Available in Taiwan, Hong Kong, Macau, Singapore, Malaysia…,etc with supermodel Lin Chi-ling taking place as the spokesperson in Taiwan it received incredible sales and marketing achievements. 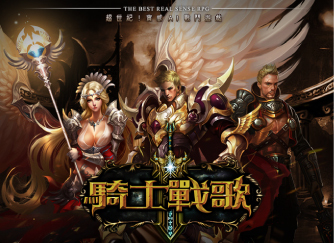 “League of Angels” also received the 2014 Yahoo Best Web Game recognition as well as the second place recognition of Game Star International Web Game Representation, with 100 servers and more than 30,000 concurrent users online. 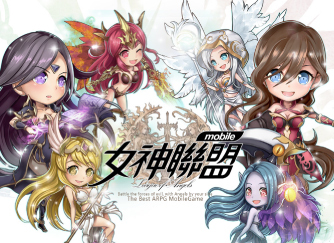 iCan Entertainment’s annual mobile game masterpiece was “League of Angels”, made its long awaited release in dual platforms on December 4th, 2014! Supermodel Lin Chi-ling kicked off the popular campaign with two other beautiful models Tia Lee and Catherine Hsu continuing the effort. 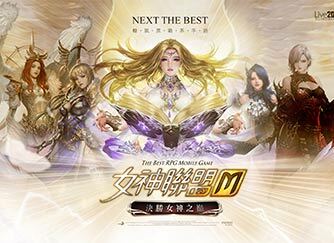 “League of Angels” later received an incredible rating of 5 stars and took its place as the second most download free game in both the iOS and Android platforms. “Battle Dragon Corps” became the first “cute-voiced” RPG game represented by iCan Entertainment, released on September 19th, 2014! Popular girl group BY2 was invited as the spokesperson, along with multiple other creative marketing strategies to gain traffic! “Rhythm N Joy” became the first mobile game represented by iCan Entertainment, launched on July 9th, 2014! Special invitation was given to popular singer Cyndi Wang as well as collaborating with SAMSUNG, a.m.p. headphones, and Hollywood movie Step Up: All In. Through the collaborations and strategic social media efforts, “Rhythm N Joy” became the most popular mobile game on Google Play in a short period of time. “Knight Saga” Attempted purely online brand marketing, without the help of television commercials. Within the first week it attracted more than ten thousand users. “East Fantasy” is a horizontal version ACT mobile game based on the Chinese mythology launched on September 17th, 2015! Social media curator “Da-da” successfully generated a strong following to create the marketing campaign. “Find Anything At East Fantasy” with hundreds of gods and demons to you back to mythical times, where you will create your own universe in the mist of this ancient world. 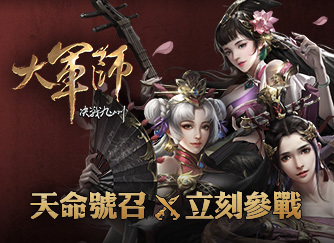 “Junior Three Kingdoms” is iCan Entertainment’s first Japanese RPG game based on the Three Kingdoms, released for dual platform on June 4th, 2015! With special invitation to popular boy band SpeXial as the spokesperson to take on the young gamers in Taiwan, Hong Kong and Macau. 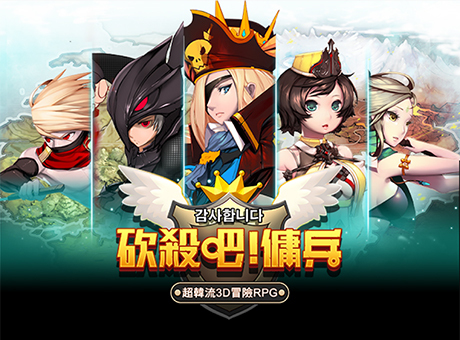 “Junior Three Kingdoms” received great reviews and affirmation,recognized in September as The Most Recommended Game by Google Play editors and Best RPG game in 2015! 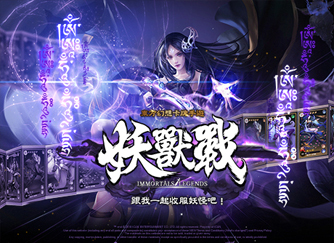 "Immortals Legends"is an east mythology RPG mobile game.With various cool and cute summoned pets, you can experience the most exciting story line and go on an expedition everywhere.By making use of unique combat system to compose the deadly master-stroke in turn and enjoy every single knockout punch. Additionally, by means of gathering your guild fellow to challenge the final trial of highest sanctuary, you will definitely applaud"Immortals Legends"for its gorgeous performance! 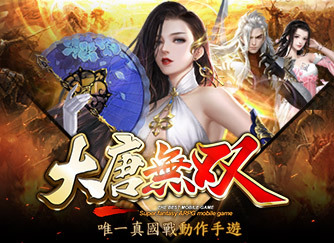 “League of Angels2”is a 3D,turn-based RPG masterpiece web game launched on March 24th,2016!Supermodel Lin Chi-Ling was once again invited as the spokesperson,only a goddess herself can surpass a goddess! Brand new 3D characters were developed by the creators of world masterpieces “League of Legends” and “World of Warcraft”,with the amazing life-like graphics to ignite the passion to compete and defend the Goddess’ glory! "Thirty-Six Stratagems：God of War" is a SLG based on the history of Three Kingdoms that is dedicated to strategy game lovers.Come and build your own power with 128 castle towns,and take part in the famous battles in the end of the Han dynasty. 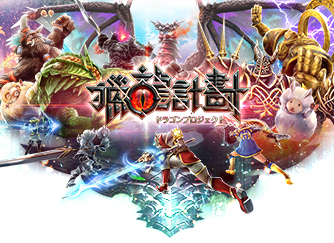 "Dragon Project" is a Japanese hunting mobile RPG. With COLOPL's signature touch control scheme, players can attack, dodge, move and use skills with just one finger. Players can also switch weapons anytime and try hundreds of skill combo according to different combinations of equipment. And don't forget about the multiplayer real-time co-op boss battle! "The furious wings" is a fantastic 3D RPG mobile game with "Player Kill" contest core feature. Besides, Fancy Guo apply Apple Metal graphics computing technique and 3D engine developed by itself to "The furious wings"
"The furious wings" is composed of abundant instance dungeon,violence aesthetics,exquisite game frame,flashy equipment,powerful pet ,and delicate outfit.Just install “The furious wings” and enjoy "Player Kill" contest with every single knockout punch. Pursue after champion for eternity. Japan's ultra-popular instant battle game "GYAKUTEN OTHELLONIA" is a mobile game which based on reversi battle. 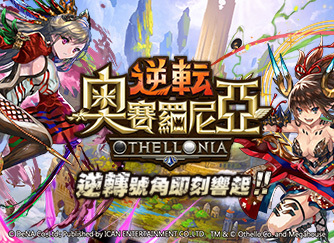 It is easy to use and combines the cards of the three races of God, Devil and Dragon to create a brand new othellonia fight! Using the skill characteristics of the character chess player, playing Combo serial attack in the game of the game, reversing the battle, becoming the strongest duel king! 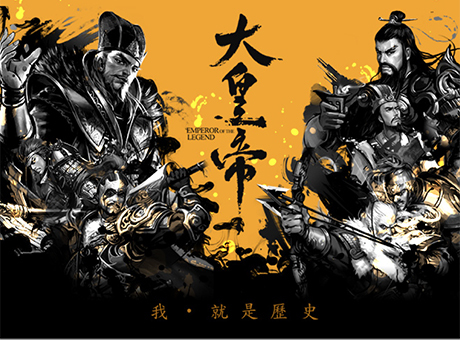 The best SLG mobile game "GRAND SERGEANT" has remade the background of the Three Kingdoms and panorama map by the time. Players will profoundly experience the super heroes who have been wisely performed and passionate about war fields. "GRAND SERGEANT" makes players not only be the winner in the game but also have a far-reaching impact on their lives. Players would be successful in the workplace, business and relationships through playing the game. 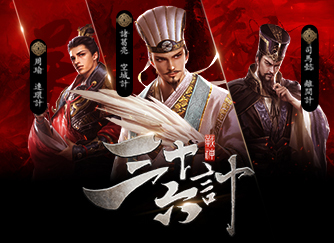 We would make you experience the classic SLG game and conquer the new Three Kingdoms. 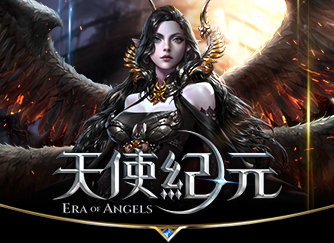 "Era of Angels" is a 3D fantastic MMOARPG mobile game. Its amazing illusion style and the original big angel gameplay bring you a beautiful audio-visual feast and the greatest operation experience ever! Fight for the treasures and get fair distribution with your team members! With our free trading system, you can also get rich without any cost! Team up and fight so you can feel the excitement from the arena battle! Transform into angels and reversed the game in just a split second! 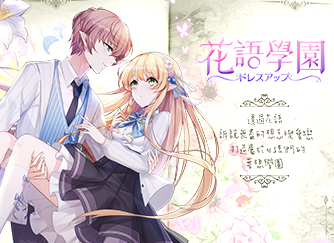 "Flowers' whispers" is a romantic dressing up mobile game, players can choose male or female avatar, play as the entrant to join a magical journey and develop various stories with different designing styles in the academy. Find out the secret power in the stone of flower meaning and the fairy tales of Flower God and Demon Prince. The first Korean-style romantic mobile game is coming! 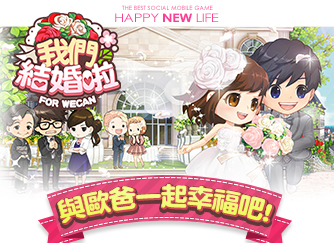 "We got married" is a simulation game based on the background of married life. In the game, the players should help the married couple dealing with events in daily life, and planning your house and company's decoration you want! With the development of the story, we can meet more and more people on different occasions, and unexpected things will to happen! 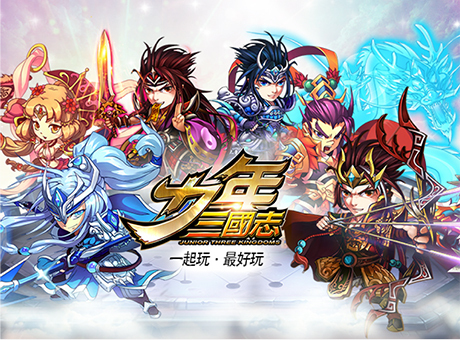 The first MMORPG mobile game in the background of Sui and Tang dynasties. With its host-level PBR technology, this game enables next generation movie-level image quality, which provides you a brilliant and beautiful world of Wuxia! "The Glory of Tang Dynasty" perfectly combines the spirit of warrior games – flat-out group battleship with the game. The super skills determine everything! The straightforward strikes of combo skills bring you and your friends a fresher experience! Let's have a taste of the joy, the gratitude, and the hatred a thousand years ago! 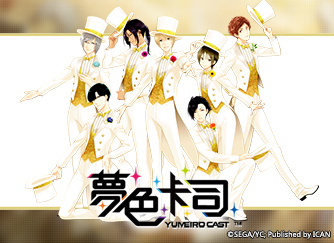 "Yumeiro Cast" is a Japanese Rhythm Mobile Game developed and authorized by SEGA. With main scenarios fully voiced by famous Japanese voice actors, the characters are presented with 2D LIVE visuals interspersed with CG plots. Players can not only have a great fun collecting splendid cards to unlock scenarios but also enjoy the music while leveling up the bonding with the characters and unlocking extra love stories by simply tapping on the marks along with the rhythm. Come and interact with your favorite characters!! Thunderbolt Fantasy, a mobile RPG based on Thunderbolt Fantasy and co-produced by Taiwanese and Japanese team, features an all-star cast of Japanese voice actors and actresses. 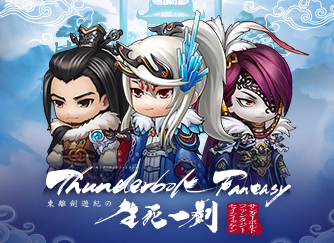 With the same storyline as Thunderbolt Fantasy TV series and all the characters included, it brings you to the world of Thunderbolt Fantasy for a great adventure. Let's start the journey now and we could all be heroes! "League of Angels M" is a fantasy turn-based RPG with beautiful graphics and procedurally-generated levels created by a senior art director who worked on GTA5. The game features a new dual-resource combat system that incorporates Roguelike and MOBA elements resulting in a truly unique and innovative RPG in the LoA universe. 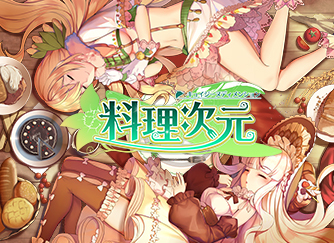 "Cuisine Dimension" is a fantasy food adventure mobile game featuring anthropomorphic cuisine. It combines multiple characteristics including the grand extradimensional world view, gorgeous voice actresses, abundant strategy development elements, and various simulation systems. All the elements in "Cuisine Dimension" create a fantastic adventure story and bring you into the magic world full of food. When the darkness invades the cuisine dimension, only those who do love delicacy can save the world, and that is you—"CHEF"! With the sincere cooperation between Xiimoon and Rejet — A piece of Japanese Romance "Kengatoki" come along. "Romantic Japanese Fantasy" Once by chance, you become the Princess of the "Oninomarukunituna". 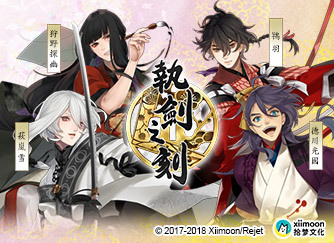 After the encounter with "Tokugawa Mitsukuni", a marvelous journey of reseizuring "Tenkagoken" starts from now on..."Real-Time Strategy+Match 3+Role Play" Simple operation, Stunning scenes, Gorgeous partners and romantic interactions..."Immersive Animation Series" With "Yomi", the key-animetor of "Kengakimi", and several Japanese A-list artists' wholeheated cooperation; moreover dozens of popular Japanese voice actors, including "Hanae Natsuki"'s performances...a fantastic journey awaits.